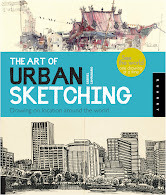 Photo from Urban Sketchers Singapore Facebook Group. More than a month before the official book release date, the first copies are available at Basheer bookstore in Singapore, the country where the book is being printed. 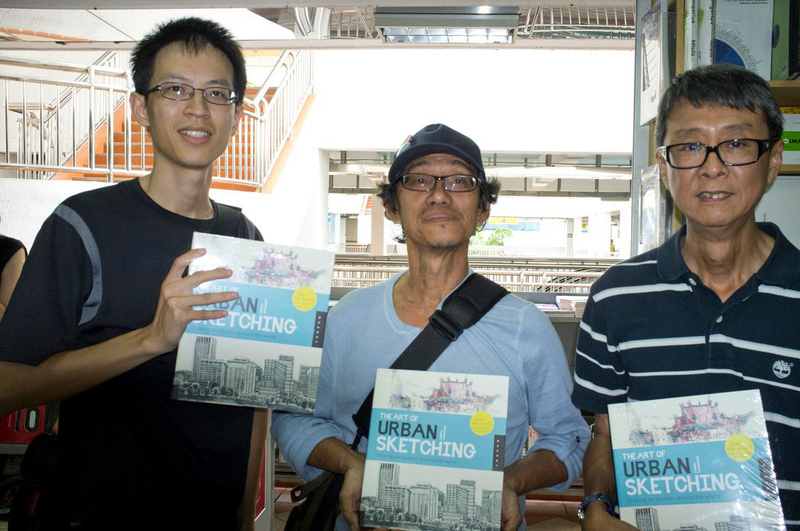 Singapore artist Teoh Yi Chie (pictured left), also known as Parka, says in his blog that he got the last copy on the shelf. According to comments on the USK Singapore Facebook group, the bookstore sold out all the 85 copies they had and will refill the shelves as soon as they can.